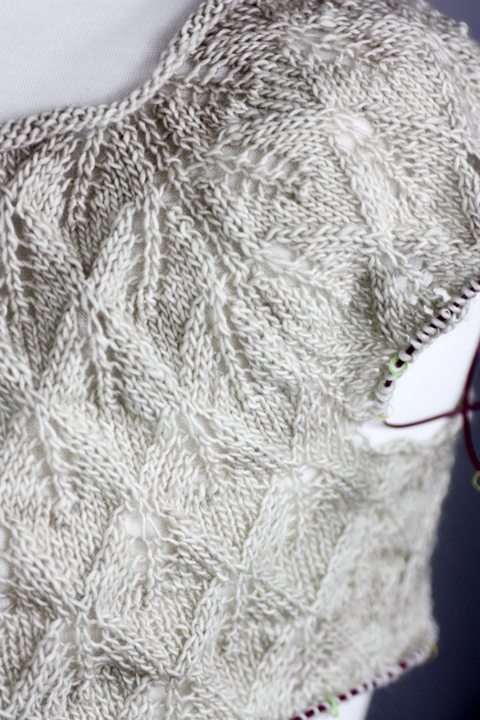 slowly, because I am not being a monogamous knitter these days. 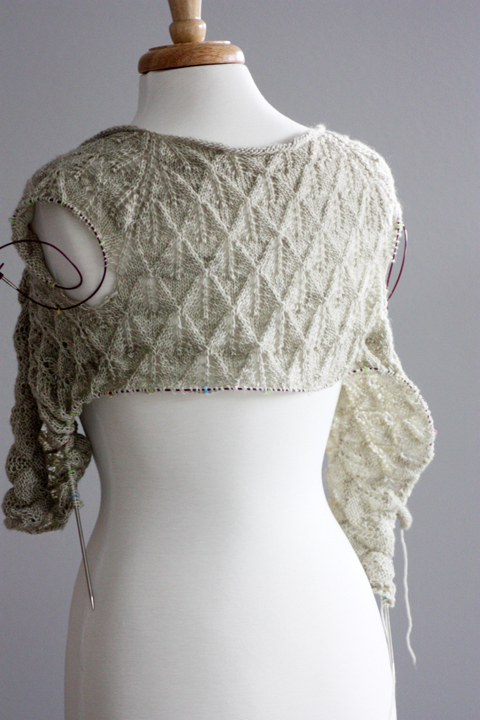 It's so difficult going slow on a lace sweater, because I can't get a very good idea of how it will block out until it's finished, and I want to see! I know what I have in my mind's eye, and I did a swatch, but it's really not the same. I want to wear it. I am still loving those raglan increases. 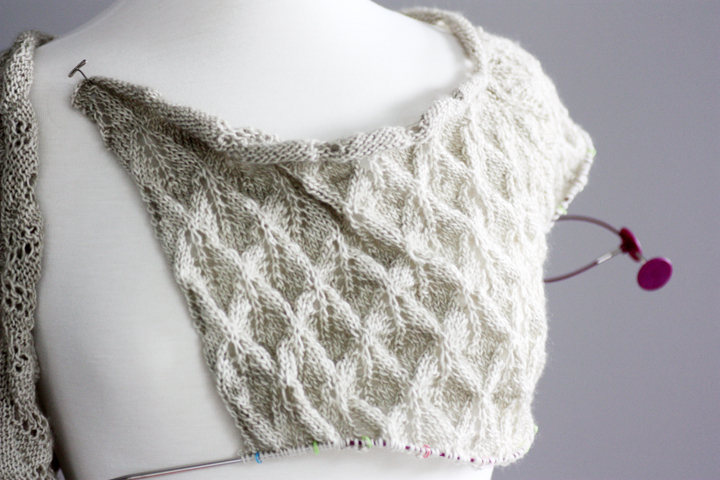 It's going to have longer fronts; I want it to drape beautifully. It looks like it will be amazing! It looks like it's going to be beautiful...can't wait to see it finished! I love it! 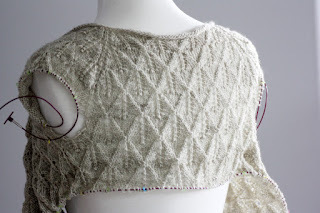 I'm really looking forward to the pattern for this one! This is going to be gorgeous! I can't wait to see it finished. I love this sweater! I can't wait to see how it turns out. You always come up with such beautiful ideas. Yummy! 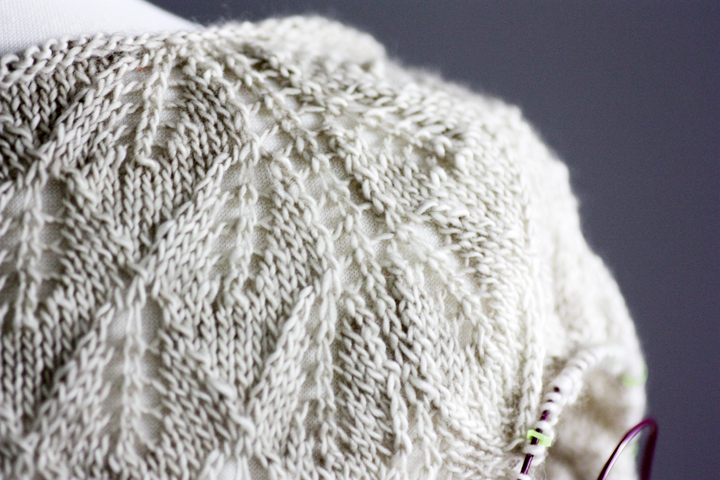 I am loving that texture!